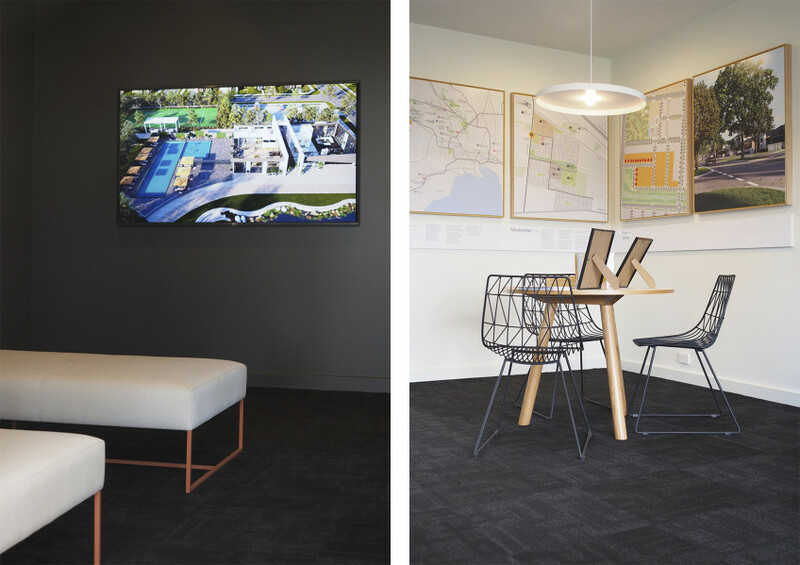 Goldfields is a Melbourne-based property developer with a simple, yet effective philosophy: to deliver homes that represent how people want to live today. 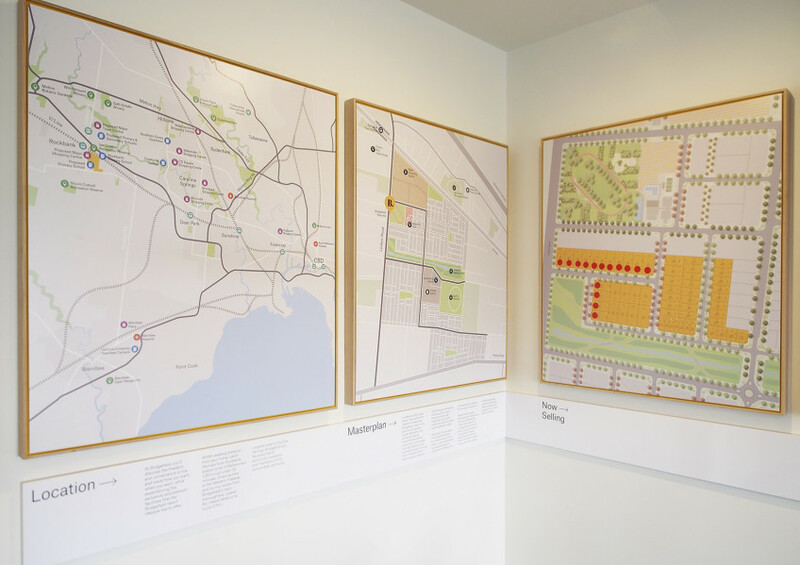 With an already impressive track record creating homes in the inner suburbs of Melbourne, Goldfields are continuing to diversifying their portfolio through land and townhouse projects throughout greater Melbourne. 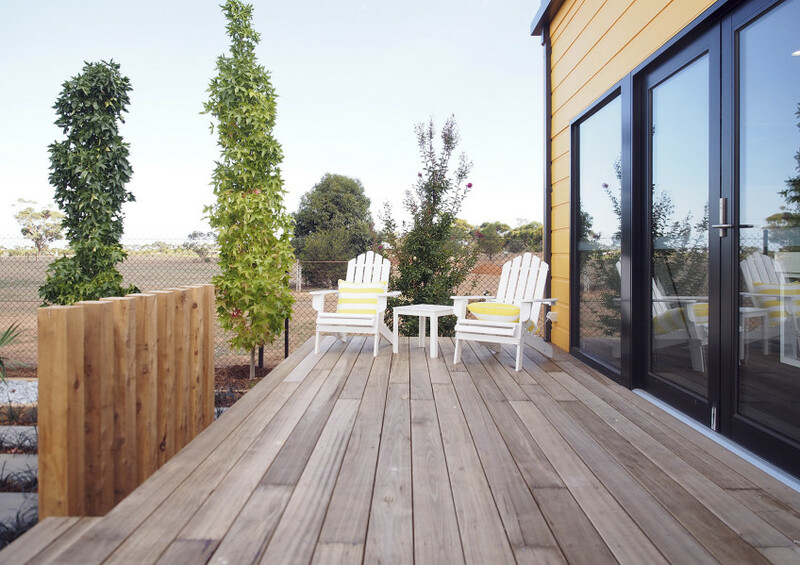 Bridgefield is a house and land estate located in the suburb of Rockbank in Melbourne’s West. 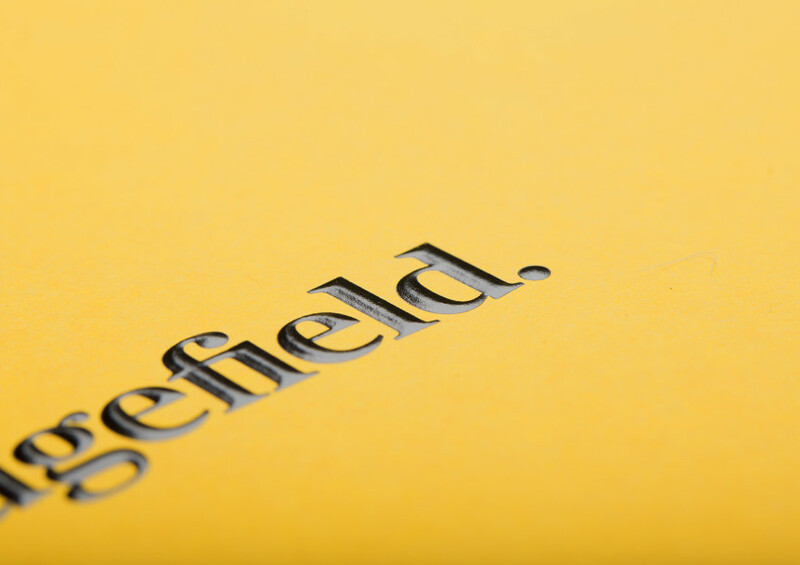 The first of its kind in the area, Bridgefield brings its residents the luxury of an exclusive private Residents Club with resort style facilities combined with curated parks and gardens by award-winning Fleming’s Nurseries. 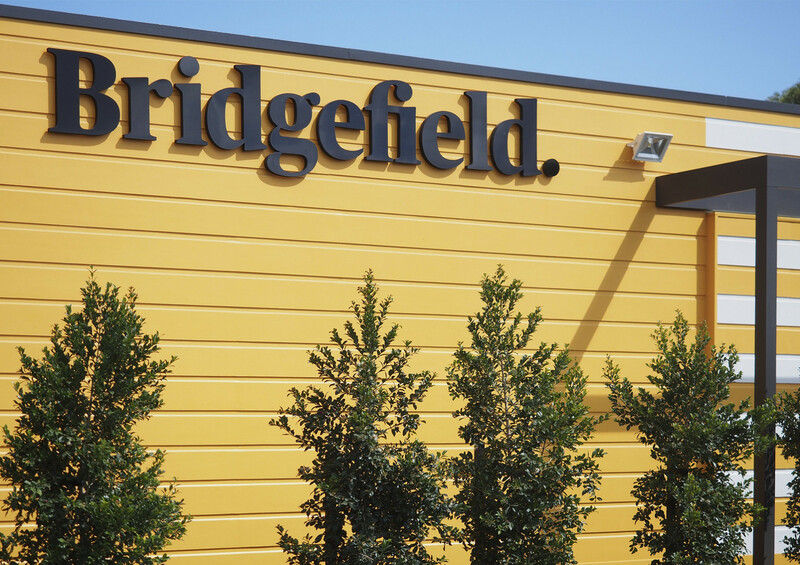 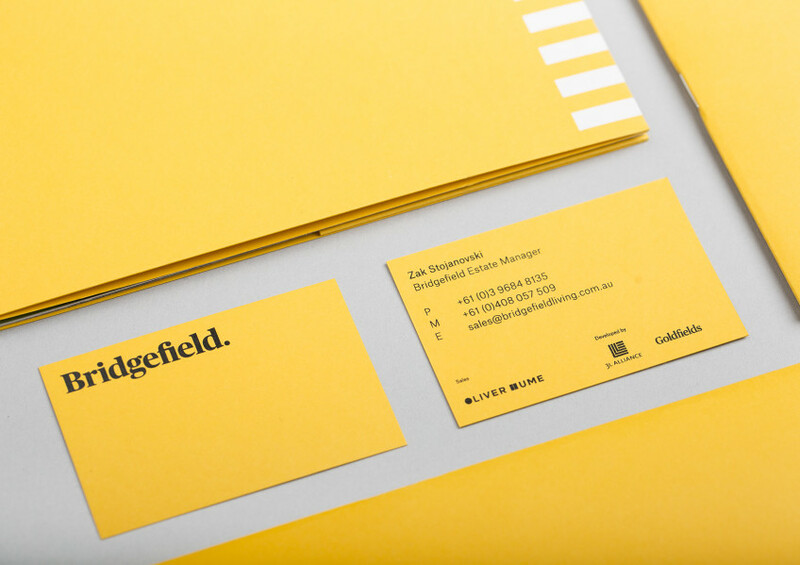 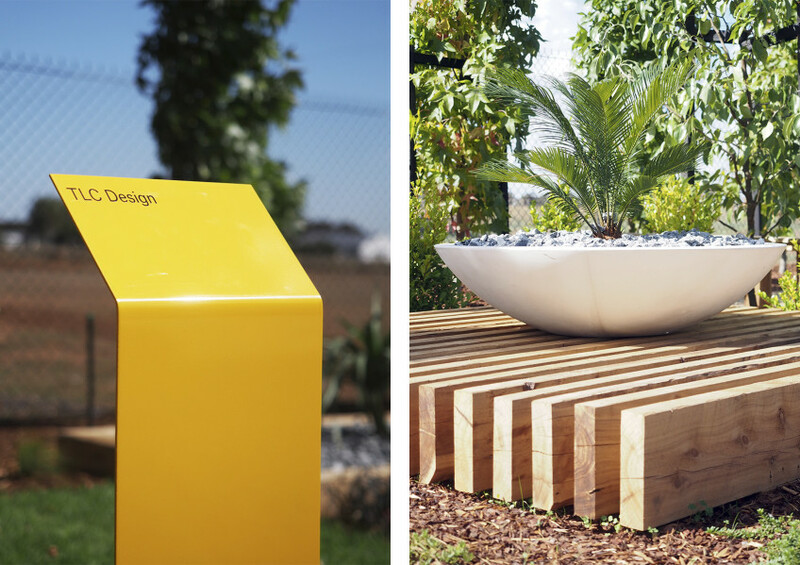 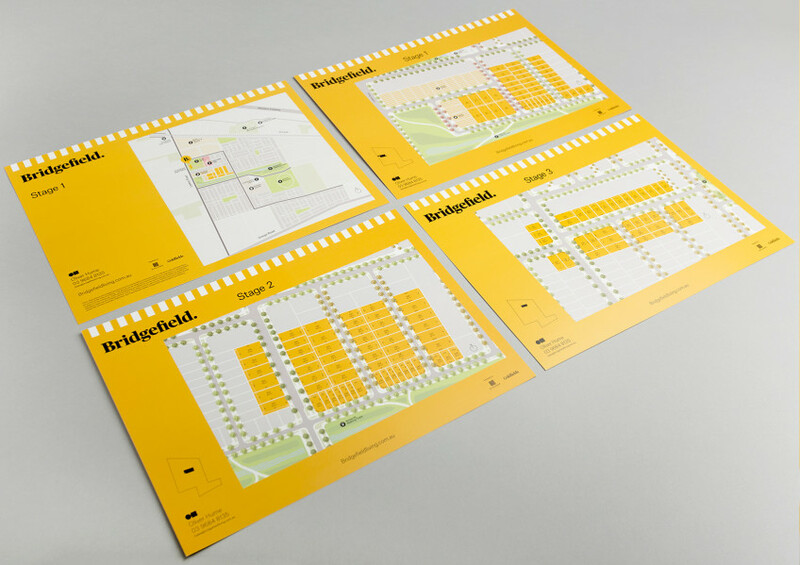 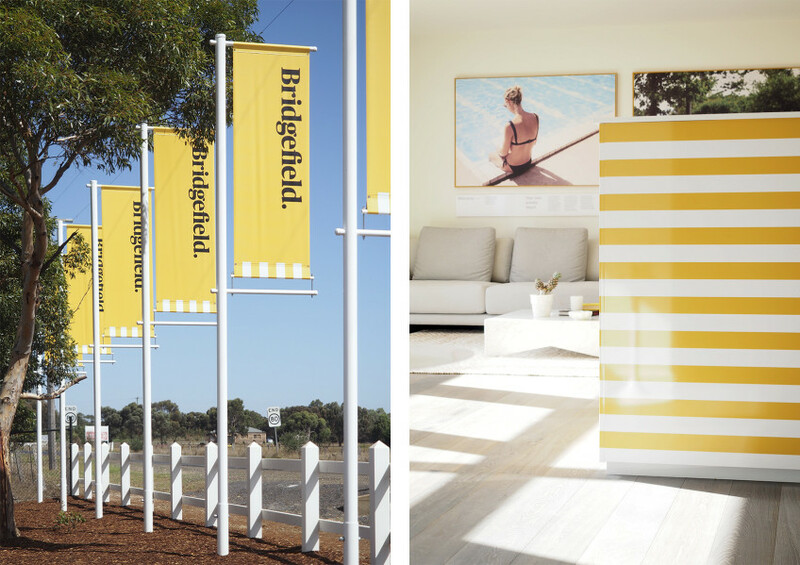 Studio Worldwide developed the Bridgefield yellow and white-striped brand as a way to capture the estate’s active resort lifestyle and ensure that each potential buyer could grasp a true sense of their bright future at Bridgefield. 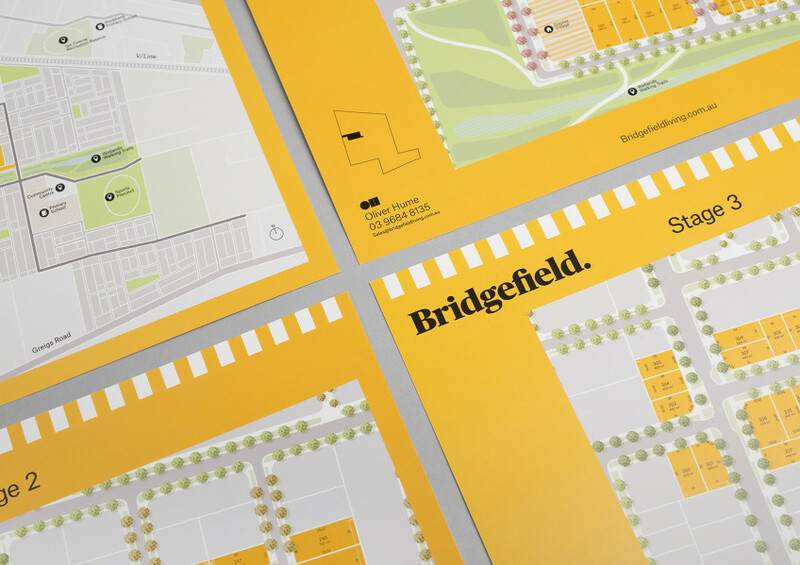 Studio Worldwide was highly involved in all aspects of the Bridgefield estate’s initial planning and execution. 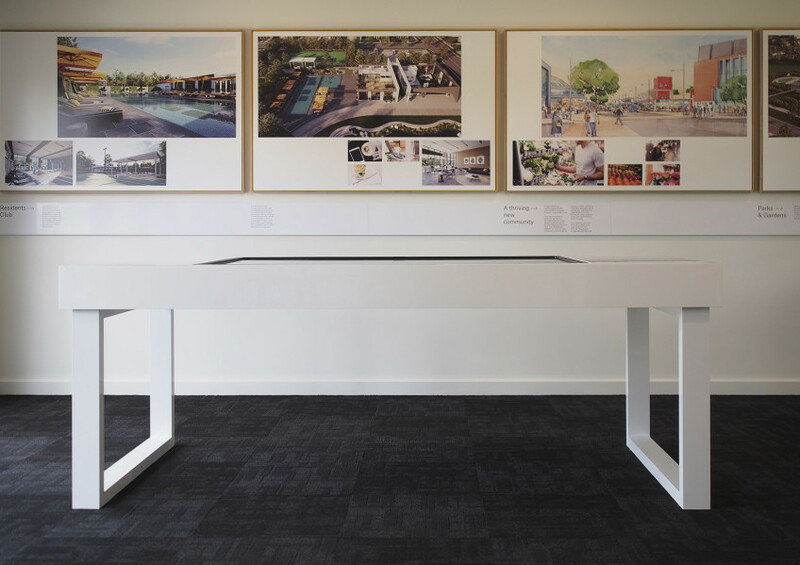 The Studio art directed the interior fit-out of the Sales Office, most notable creating a unique touch screen table that gives visitors interactive insight into the Bridgefield masterplan. 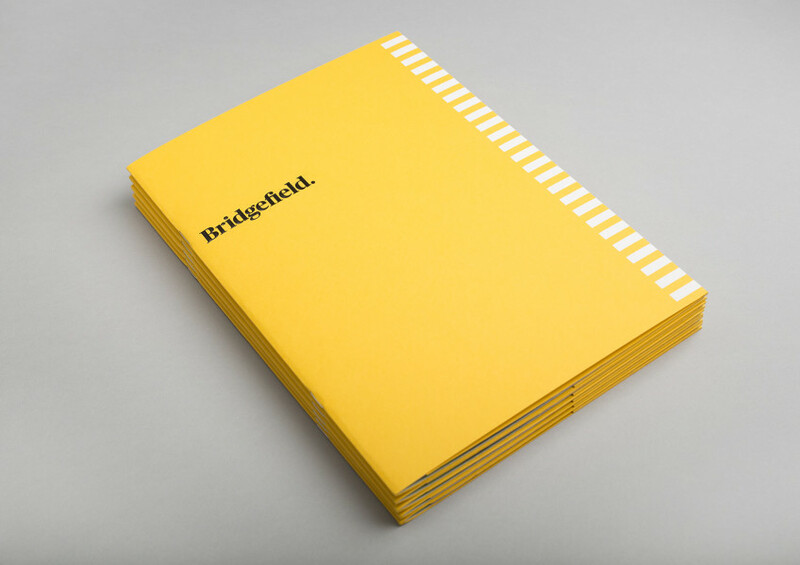 From the website to the EDM strategy, printed brochures and promotional materials, Studio Worldwide has ensured Bridgefield has brand recognition and consistency for many years to come. 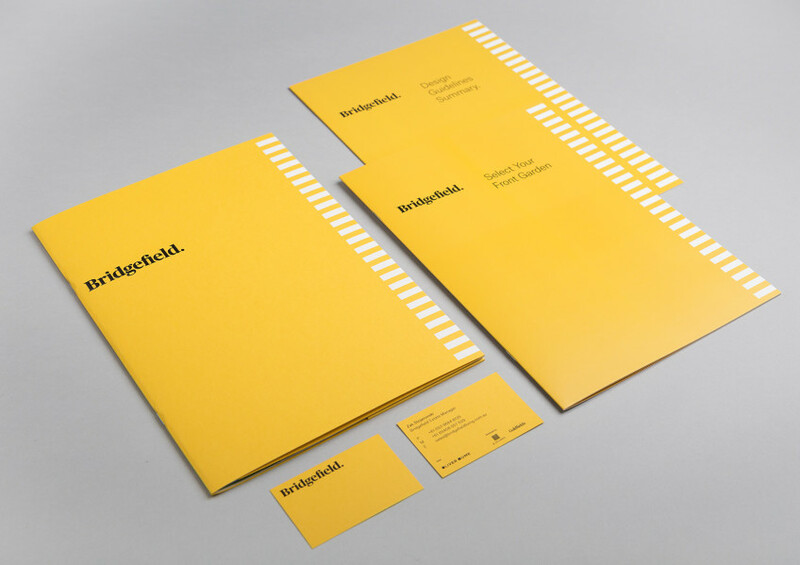 Click here to view our full property branding and marketing credentials.